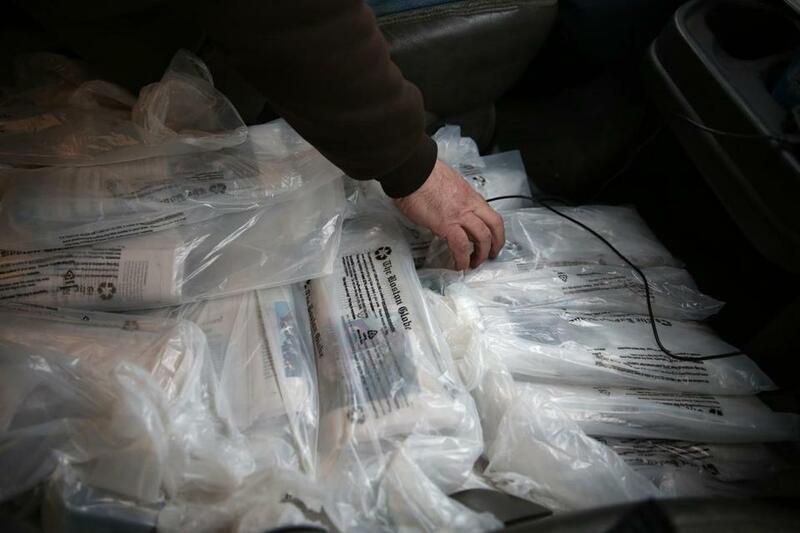 Eliot Resnick double-bagged 165 papers and delivered them to residents and businesses in East Boston on Monday. Globe reader Jim McClure was unimpressed. “[W]hy are you taking a bow?! 5 days no paper in 02131,” he tweeted back. He’s right. For one night, I got ink on my hands and knew what it meant to be cold, miserable, lost in Peabody, and desperate for a bathroom. But now I’m back at my keyboard. McClure, who lives in Roslindale, got his Sunday Globe, and his paper was delivered Monday — after he left for work. As a subscriber since 1994, he’s losing patience. Journalists know how to tell a “warm and wonderful,’’ like the story of a newspaper family pulling together in time of crisis. But McClure said he cares little about that tale. The least we owe readers is getting the paper to them promptly. It’s on us. It’s all on us. He just wants his newspaper on a consistent basis. In politics or business, you should never take your base for granted. The Globe’s decision to switch carriers did so by accepting there would be “some” service disruption. Globe executives contend they expected that to mean some late and missed deliveries, and some “displaced” newspapers (tossed instead of gently placed). They say they weren’t prepared for a worst-case scenario. Neither were readers. When major disruption occurred, a flawed customer service operation couldn’t handle the flood of disgruntled callers. The corporate response lacked a personal touch and the true mercy-begging demanded by the situation. But let’s face it. We were also counting on some customers to accept “minimal” disruption. 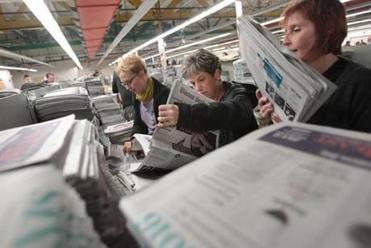 At the same time we published reports about a FedEx failure to deliver two wool caps in time for Christmas, we accepted a few missed newspapers as part of a larger business strategy. According to Globe chief executive Mike Sheehan, the switch to ACI Media Group was supposed to improve service and reduce cancellations due to service complaints. It was also supposed to save at least $3 million, to be reinvested in the news operation. An ACI executive told the Globe that service will be back to normal in four to six months and, after that, service will continue to improve. If it takes that long to resolve, there could indeed be better service — because there likely will be fewer newspapers to deliver. About 75 percent of Globe revenue comes from print products, including Globe circulation and the printing of other publications. So of course the Globe is pledging to fix the problem quickly. At midnight at the Peabody distribution center, there were many uncovered routes. Flyers around the room offered drivers a “fee of $250 by coming back and throwing another route. Earn another $250 by throwing another route on top of that. Recommend a friend and earn an incentive of $100 if your friend signs a contract and earn another $200 on top of that if your friend stays on the route through April 3rd.” How did ACI get to start a newspaper delivery contract without enough drivers to deliver newspapers? Our subscribers are the victims. McClure, 54, said he turned to Twitter out of frustration. On the first two days of the new delivery service, he received two Globes each day. Trying to be helpful, he called the customer service line to report it and said the person on the other end told him, “I should be grateful I am getting any paper at all.” That left him “seething,” he said. Now the eighth-grade history teacher is unmoved by first-person accounts of a night in the life of a newspaper delivery carrier. “It sounds like people wanting applause for helping the Globe out,” he said. He’s a tough critic — but so am I, when someone other than the Globe messes up.